You asked for it, and now it's here! 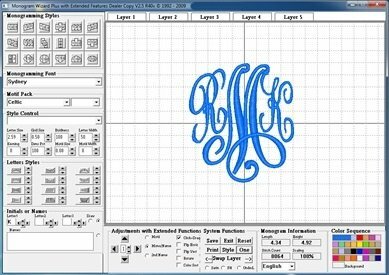 For those of you who have purchased Monogram Wizard Plus, Debbie will be teaching you how to navigate through the program. You will find out what designs are available and learn to resize, and layer. Bring your computer with Monogram Wizard Plus loaded so you are ready to go.